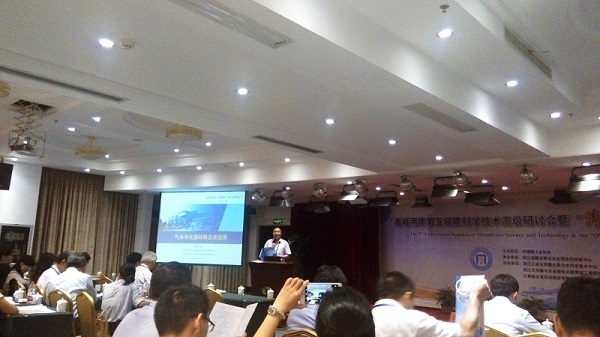 During August 12-14, Prof. Jin and Ph.D. candidate Jie Shen attended the 5th Cross-Strait Seminar of Membrane Science and Technology & the “Qingshan Cup” Graduate Forum in Shangrao. As a member of Scientific Advisory Committee, Prof. Jin was invited to cochair the first session of this conference. Jie gave an oral presentation titled “Facile Tailoring the Graphene Oxide Nanochannels for Molecular Gas Separation”, and won the first prize in the “Qingshan Cup” Graduate Forum. Congratulations to him!